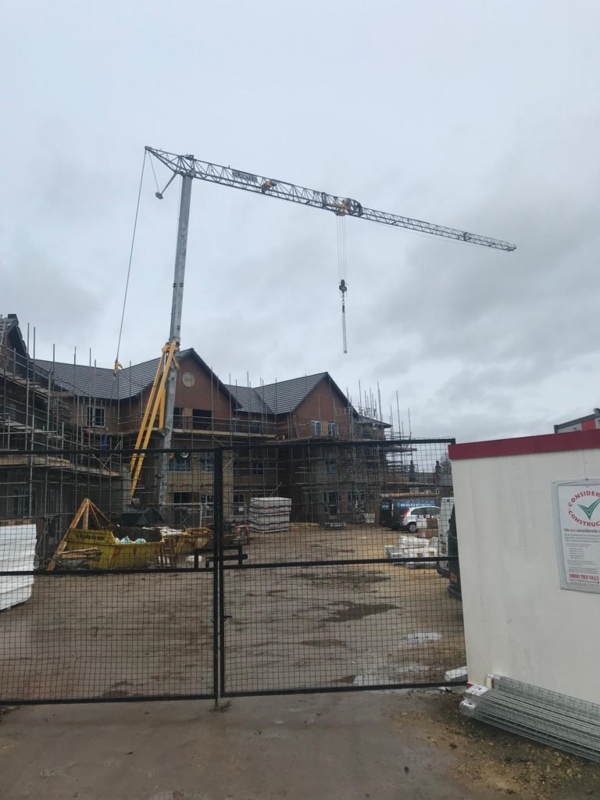 A Mantis 35.10 Self Erecting Tower Crane on a new care home development in Cleckheaton will soon be leaving site after works are completed early this year. This particular development is an 83 bed care home and will be part of a larger project in the area comprising retirement apartments and new housing. Works started last year and look set to continue throughout 2019 and in to 2020. This particular tower crane is one manufactured by Mantis Cranes. It has a max total lifting capacity of 4,000kg and can lift 1,000kg up to a radius of 35m. With various jib configurations it is well suited to smaller developments and residential developments such as apartments and care homes. More information can be found on this crane here.